Many business owners these days find the idea of a corporate uniform interesting. Appeal of uniform clothing across the company is certainly understandable, however, the decision to introduce uniforms is not always an informed one. 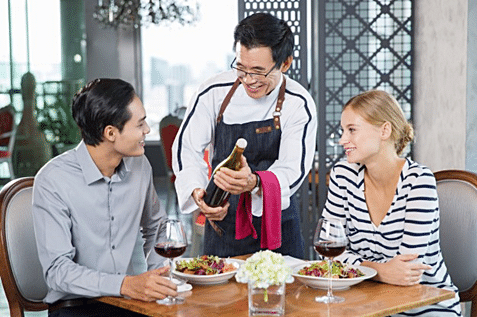 When we think of employees in uniforms, the first picture that springs to mind is a restaurant or a hospital. 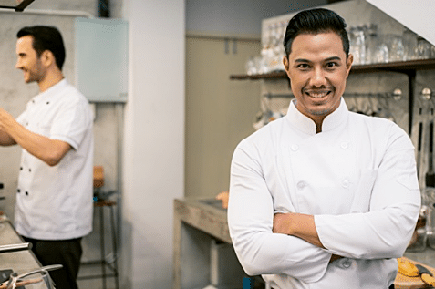 While it is true that the service industry often benefits most from uniforms use, many other sectors are now beginning to understand the positive effects uniforms can have on business. According to a report published in 2010 by Frost & Sullivan, companies in the United Kingdom spend more than half a billion euros on buying uniforms for their employees. This makes the United Kingdom one of the countries with biggest investments in corporate uniforms in the world. However, they are not alone. The trend is also alive in Western Europe, where they spend around 3.2 billion euros on uniforms. What is more important is that the value of this industry is growing by estimated 3.3% on an annual level. Big businesses, which often have more than one department, may find a lot of practical advantages to uniforms. Uniforms make people feel like they belong to a group, and therefore can increase their willingness to engage in teamwork. Different departments can still have different uniforms, but they don’t have to differ significantly – a detail or two can separate teams, while still making employees feel like they are a part of a company. A garden center, for example, can design their uniforms in a certain way and then vary the colors for various departments. Those in charge of a nursery could wear green shirts, furniture staff could go with red ones, while those who work in the warehouse could wear blue shirts. Is DIY A Thing Of The Past? But is a DIY work clothes policy really such a bad idea? Well, corporate uniforms can be of huge benefit to companies reliant on both teamwork and interaction with the public, but when an employer is more reliant on individuals, going DIY is a viable option (though a dress code often still exists). For example, a magazine publisher is unlikely to ask their journalists to wear the company logo when interviewing and researching their pieces, while a law firm will expect its lawyers to wear a suit but not with the firm’s logo on the jacket. Projecting a professional image to a consumer public that expects professionalism is crucial in highly competitive sectors. But building confidence in standards or work, hygiene and honesty is equally important. The right corporate uniform can accomplish that. Much as a firm handshake reveals a lot about the person you are doing business with, the image wear their company adopts can indicate what they are all about too. Consumers expect high standards from professional services, but there is evidence to support the idea that even an expert dressed in casual work clothes is trusted less than a novice wearing official company attire. For example, if a consumer has a problem with their plasma TV and calls ‘Bright Sparks Ltd’ to solve the problem, they are more likely to trust the electronics expert if she arrives in a neatly presented uniform with a ‘Bright Sparks Ltd’ logo emblazoned on the shirt front, than if she arrives in Levi’s jeans and an everyday t-shirt. It is the first impression that generally lasts, and image wear is designed to make sure the first impression is a positive one. Research has upheld the idea that employee uniforms signal a greater professionalism, as well as offering visual clues to what the company does and even how it sees itself. Uniformed, logo work clothes build a ‘front-of-mind consciousness’ in the consumer, and consequently a higher degree of confidence in the company. There are other benefits to using a corporate uniform. For example, uniforms have been shown to increase attention spans amongst workers, contributing to a greater productivity, better quality work and even higher levels of creativity and resourcefulness. Research published in the Journal of Experimental Social Psychology concluded that worker performance can be influenced by their work clothes, even to the extent that their behaviour and attitude can change. According to the research, wearing a lab coat can increase attention to detail, which is what laboratory scientists are required to have. However, the research also revealed that workwear needs to fit the job – a painter who was given a lab coat to wear experienced no improvement in performance or quality of work. So, it is as important that a worker feels comfortable in their work clothes as it is to include a company logo in the design. Research proves that the uniforms which are professionally designed and cleaned can help employees with their self-image, as well as boost their performance at the workplace. 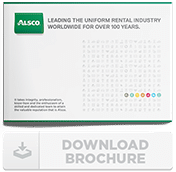 Alsco offers a wide range of industrial, corporate, hospital workwear and more which features well-designed and comfortable clothing made to last. Contact us for a free quote on your uniform needs.